New music makes me happy. I used to be really into finding new music, but now... Not as much. It just takes so much time, and honestly, who has that? I did finally take the time to have a few moments with the new (new-ish, it came out in May) Lykke Li album (this one.) Slightly different than her other albums, but still distinctly her. So good! Something else that is a little bit different, but also so good, is the limited edition Mark. 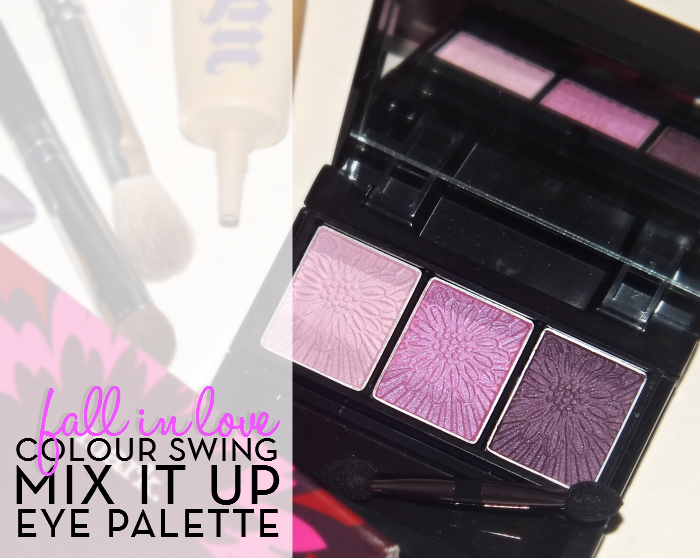 Fall in Love Colour Swing Mix It Up Eye Palette which was released as part of the Wonder Fleur Colour Collection. Read on for a closer look! It must be the season of the palette, because I feel like I've been trying quite a few lately. Anyone else notice that? What makes the Mark. Colour Swing palette stick out from the crowd is the fact that it's completely two sided. The portion of the palette that houses the shadows clicks out of place, slides over and can then be flipped to reveal three more shades. 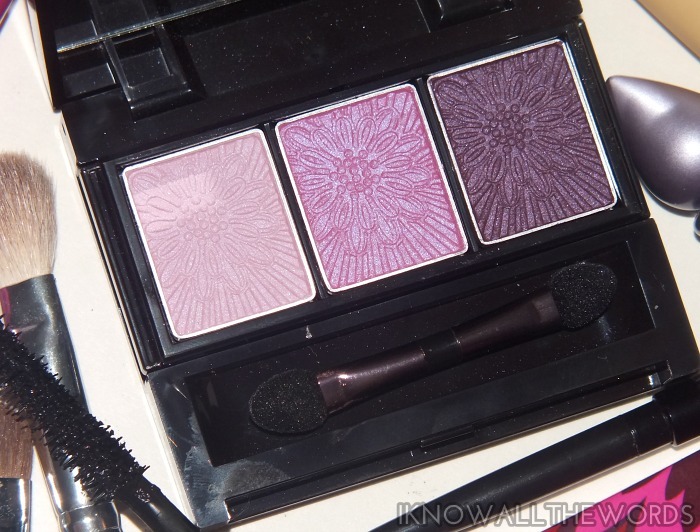 On one side you get the fashion shades- this Fall in Love version of the palette has three purples, while the reverse has essential neutrals. What more could you want? Formula throughout was great- more info on the shades in a moment- and it wore nicely through the day over primer. 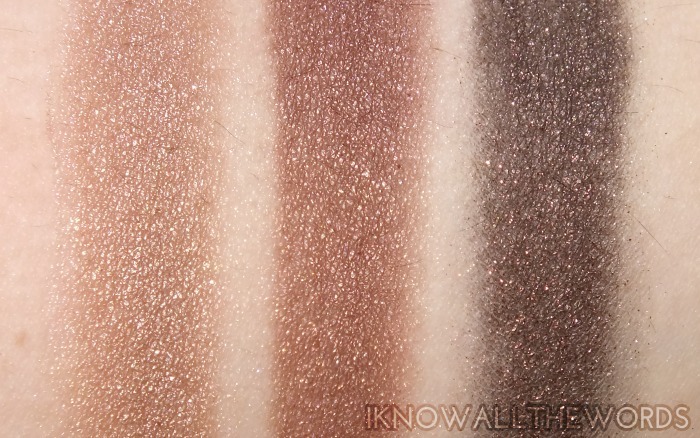 One complaint could be that all of the shades have the same sort of satin/shimmer texture, but the shades seem to have been created in way that they do wear well together without having too much glow or shimmer on the eye. 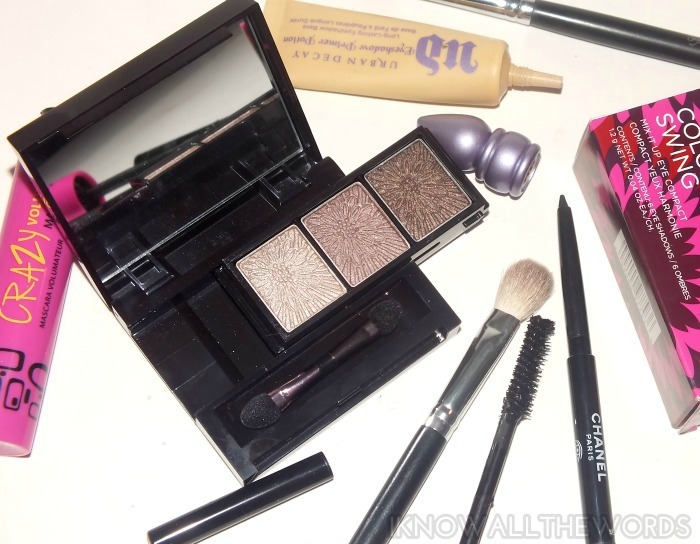 The front of the palette is home to the purples. You get a pale, pinky-lavender satin, a medium, pink-orchid satin, and a bluey-plum satin. All of the shades have a blue shimmer/glow within that works to tie them all together quite nicely. 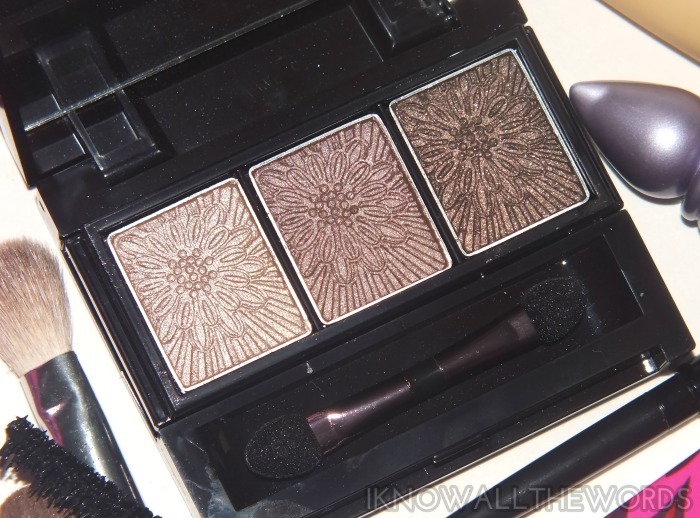 Pigmentation is great, but the lightest shade is a bit less intense. I quite liked that it was less intense because I think it could enter the "too... just too" zone easily if it was full on. 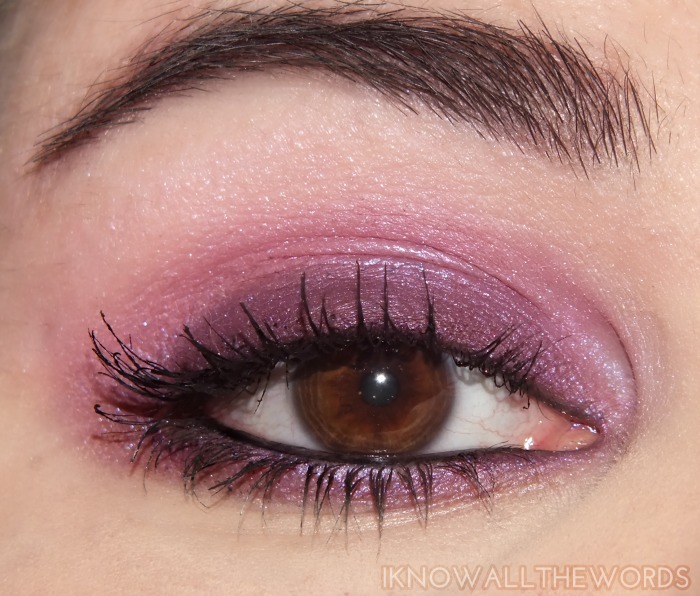 I love how purple shades work with my brown eyes, and have to say I am pretty obsessed with the combo I've shown above. It's colourful without being too flashy and comes together so easily. On the flip side, you've got everybody's favourite neutrals. Can anyone honestly say they don't love a good neutral shade? I don't think so... Anyway, here you've got a champagne kissed, mushroomy-taupe, a medium, coppery brown, and a deep, almost blackened brown with golden shimmer. 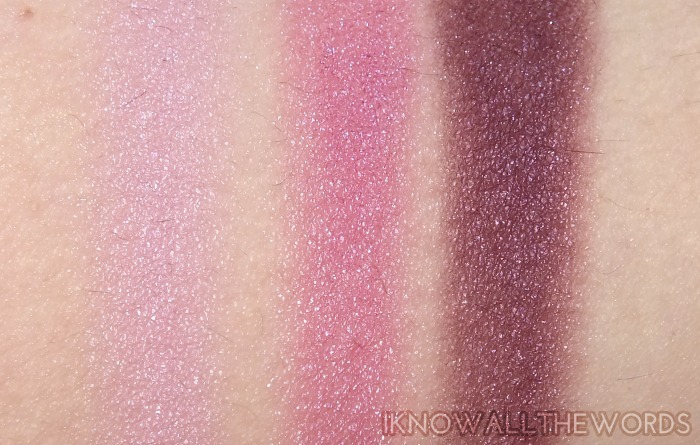 Again, perfect pigmentation and a perfectly smooth, buttery formula. 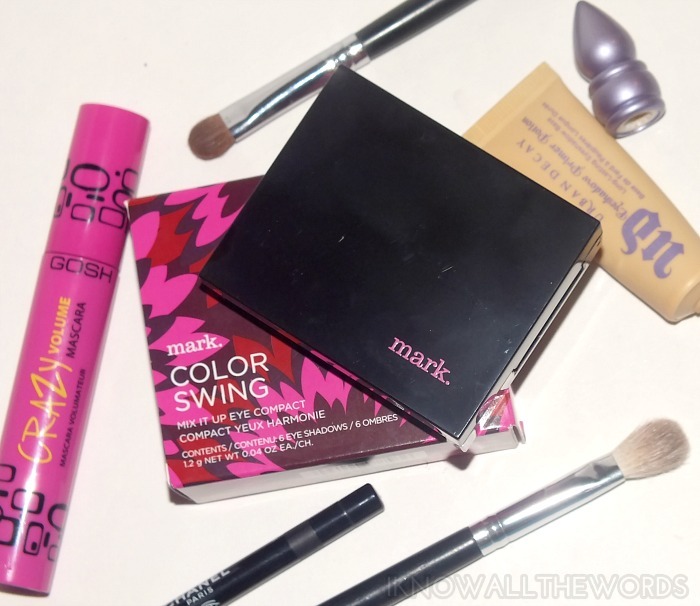 Overall, you really can't go wrong with this palette! I love every shade, and they're completely mix and matchable. It's nicely compact and could make a great little gift or stocking stuffer. What do you think of this palette? Yay or nay?